Bertoia in p. 18, 21; 46 Archives of American Art, Smithsonian Institution. 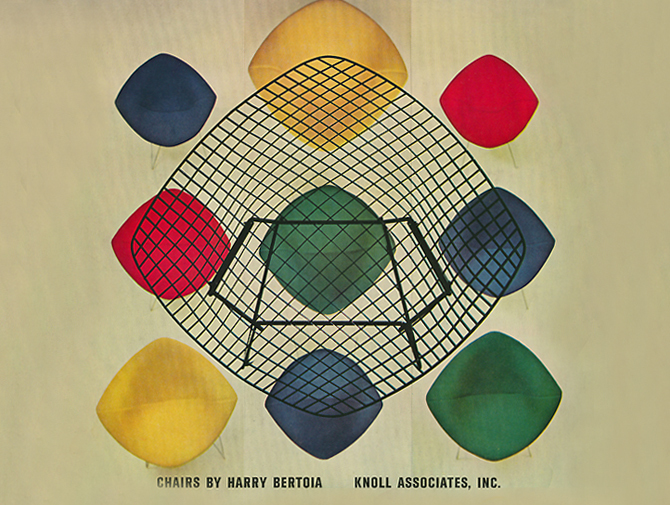 Bertoia in p. 21; 41-42; 56 Archives of American Art, Smithsonian Institution. 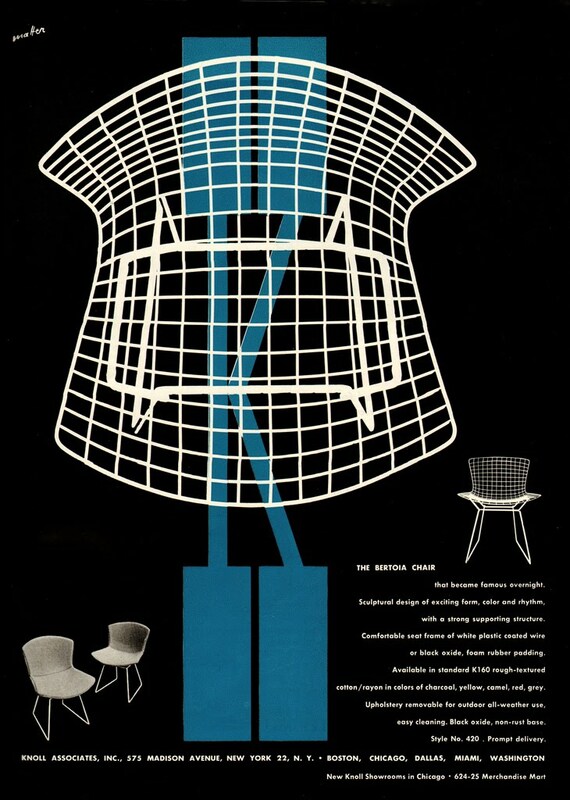 Bertoia in p. 15; 70-71 Archives of American Art, Smithsonian Institution. 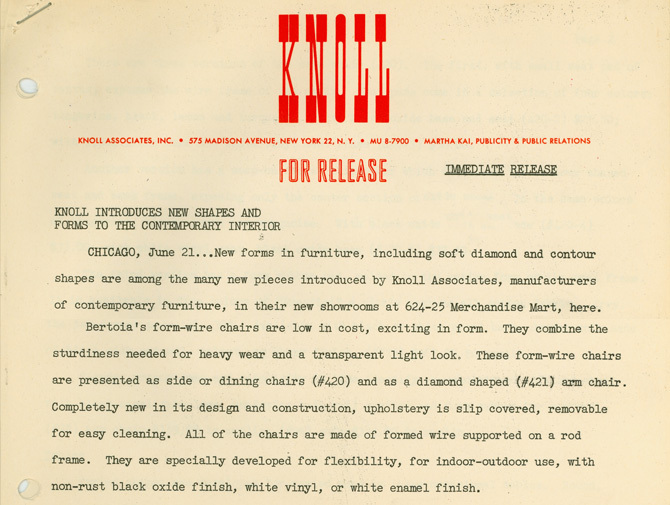 Bertoia in p. 10; 34 Archives of American Art, Smithsonian Institution. An illustrated booklet written when Bertoia was 17 years old and a student in Gladys Little's occupational information class at Cleveland Junior High School in Detroit. Recorded at the Vancouver Art Gallery, Canada. Remixed at the Electronic Media Studios, York University. 311 The Voice Of New Music. An anthology of articles on the evolution of minimal music in New York in 1972-1982, which originally appeared in "The Village Voice" magazine. 288 Everyday Art Quarterly No. 7. 284 Arts and Architecture Vol. 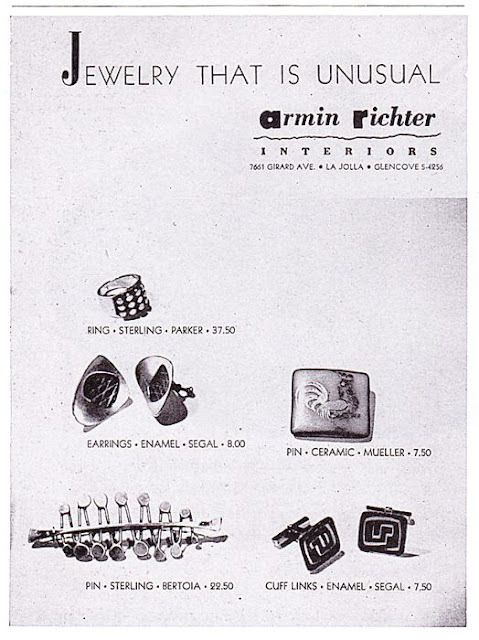 64, number 5, May 1947. 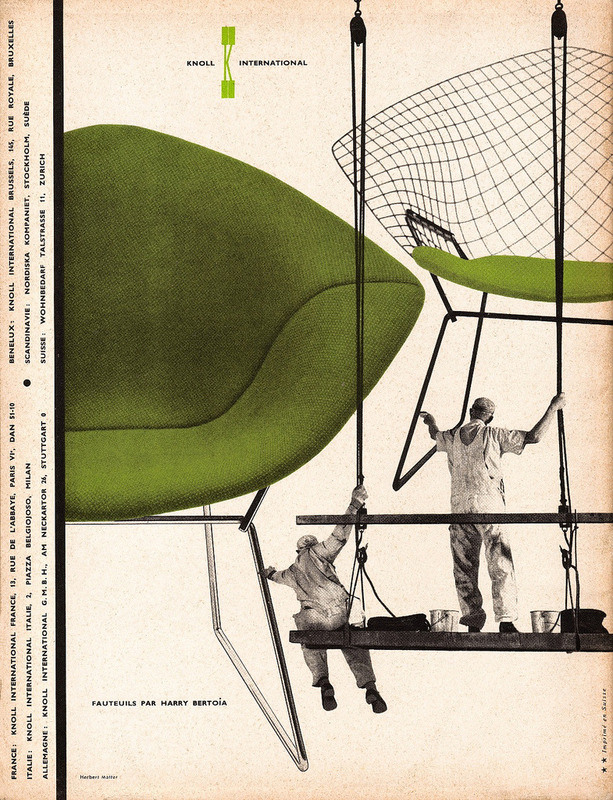 Cover by Harry Bertoia (who was employed by the Eames Office in Venice at the time). 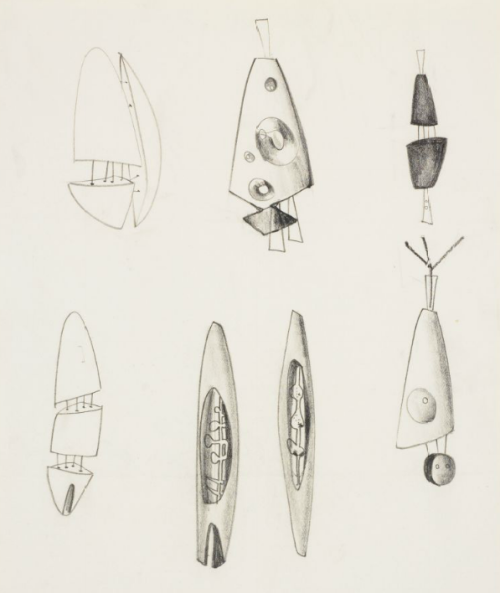 274 Sales receipt with Bertoia's sketches of seven of his sounding sculptures, ballpoint pen on paper. 252 Dal Friuli all'America e ritorno. 172 List of passengers, Conte Grande ship. 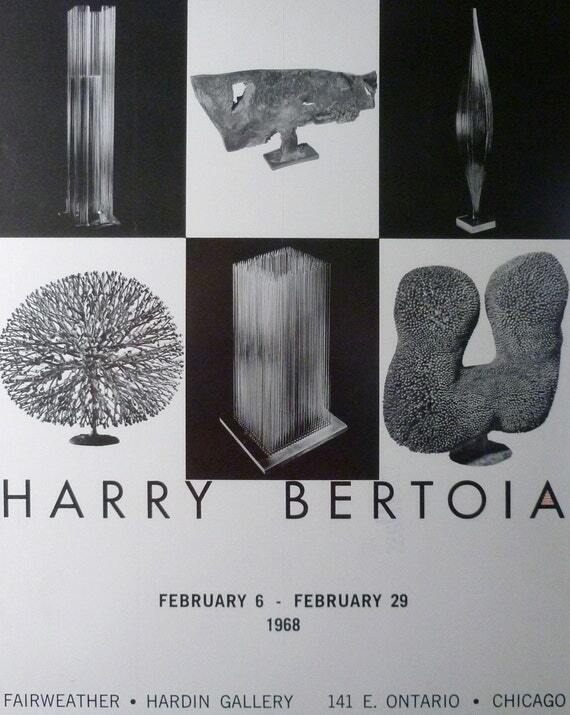 82 Harry Bertoia 1915-1978. Atti del Convegno. 77 Serata dedicata a Harry Bertoia. Presentazione Atti del convegno e proiezione del film "Da Arieto a Harry"
54 Harry Bertoia 1915-1978. Atti del Convegno.